NOWTHISNEWS – This Israeli-born actress is making waves in Hollywood. 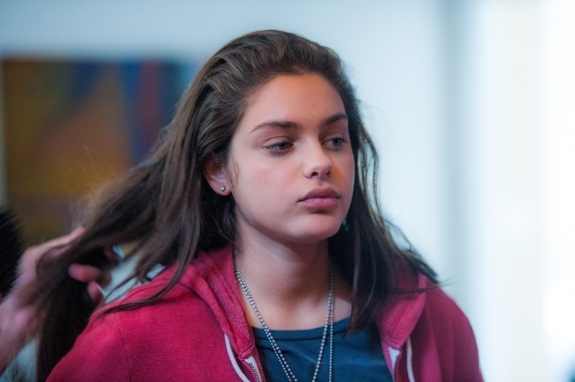 Growing up, Odeya Rush struggled to fit in when she moved to Alabama at age 9, not knowing any English. But she was able to draw on being different for the role of “Tatiana” in “Dear Dictator.” The film is a satirical comedy about a rebellious teen who forms an unlikely friendship with a dictator, played by Michael Caine. She also makes sure that the haters never steal her smile and always takes time to laugh. 1 new still from the movie Dear Dictator has been released. Dear Dictator hits theaters, iTunes, and VOD on Friday March 16th! 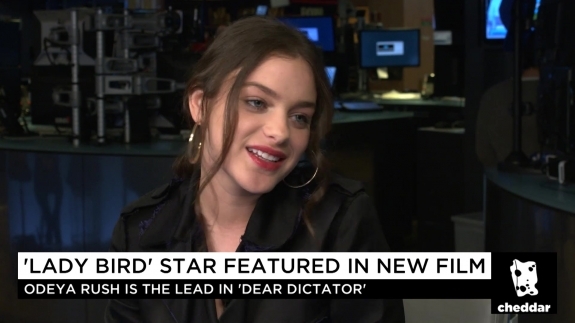 Odeya was a guest on Cheddar to promote Dear Dictator. 200+ HD Screencaptures have been added to the gallery. ‘Dear Dictator’ clip starring Odeya Rush and Michael Caine. Odeya attended AOL Build Speaker Series in New York City on March 7, 2018 (watch the video in the previous post) . I have added 30 pictures to the gallery. Enjoy!